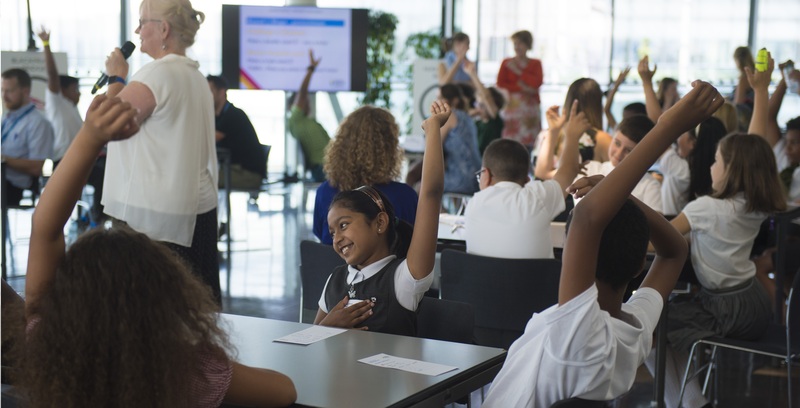 The Count on Us Primary Challenge is a maths tournament for Year 4 and 5 pupils involving over 100 schools from across London. The tournament focuses on shape puzzles, number games and code breaking challenges to help develop children’s confidence, problem solving skills and most importantly, their enjoyment of maths. After running activities in school, schools select a team of their top mathematicians to represent them in the Regional Heats. Qualifying teams are then invited to City Hall for the final events in the summer term. Have a go at these cards and see how you get on. A 10-year-old can complete card 1 (click to download) in 15 seconds and card 2 (click to download) in 30 seconds. Can you beat a 10-year-old? What will taking part in the Primary Challenge involve? Pay a one-off fee of £150 per school. This covers all of the resources and training that your school will receive, in addition to your pupils’ participation in the tournament.